If becoming a doctor has taught me anything, it is that nothing is ever absolutely certain. And that while we may have strong clues that some things work in one way or the other, that does not mean that each and every one of us will react the exact same way. I mean, it is common sense that smoking isn´t healthy. But everyone knows someone that had an uncle that smoked and drank and never ate a vegetable for all the 105 years of his life. No truth is absolute, not in life and certainly not in skincare. So please do take the title of todays video with a smile. It is called “The truth about Double Cleansing” and it´s aim is to arm you with knowledge and understanding to help you decide what will work for you. Over the course of the day, more and more things accumulate on our faces. The things we put there by choice (like layers and layers of skin care, sunscreen, makeup) and the things we pick up, like pollution (hello big city air) and bacteria from our skins and our phones. Have you ever counted how many times a day you touch your face? It is a lot! So what about that stuff? Well, aside from causing breakouts, pollution and dirt can cause inflammation. And inflammation causes premature aging. On the other hand though, excessive cleansing can damage your skins barrier function and irritate your skin. Irritation in skin speech means inflammation. And inflammation will lead to … well, see above. Bottom line: Cleansing your skin is important to avoid irritation and breakouts, but at the same time overcleansing your skin should be avoided to avoid irritation and breakouts. This is where things get confusing, because people mean a ton of different things when they talk about the Double Cleansing method. In the original sense of the word, Double Cleansing comes to us from k-beauty and refers to the practice of first using a Cleansing Oil to break down sebum and products, followed by a foaming cleanser that is low in pH to get rid of any residue and cleanse the skin. I do however don´t want to indicate that Double Cleansing was invented in Korea, my late grandmother had different cleansers in her bathroom already, it has been done in several countries for a long period of time. It just wasn´t a THING that had an actual name. 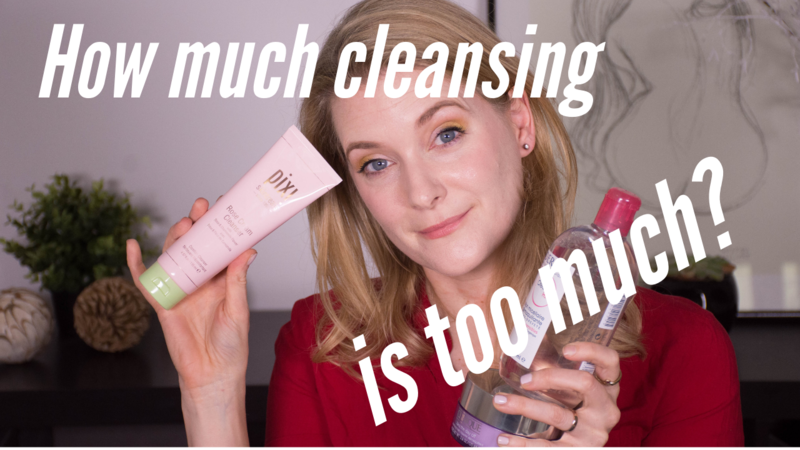 The most commonly known is probably the pixi Double Cleanse (read my full review here), developed together with Caroline Hirons, skincare guru and Double Cleansing advocate. It does, however, not follow the “oil cleanser, then foaming cleanser” rule, but instead offers a solid oil for the first cleanse and a cream cleanser for second. Other people will refer to themselves Double Cleansing when the just use the same face wash twice. And, in my opinion the biggest difference to the original method, people tend to use exfoliating methods while cleansing. Clarisonic brushes, acid cleansers, even rubbing your face with a microfiber cloth in between cleansing steps – all that is exfoliation and exfoliation is not part of the k-beauty Double Cleanse! Why this is important? We will get to that in a bit. Is Double Cleansing good for your skin? 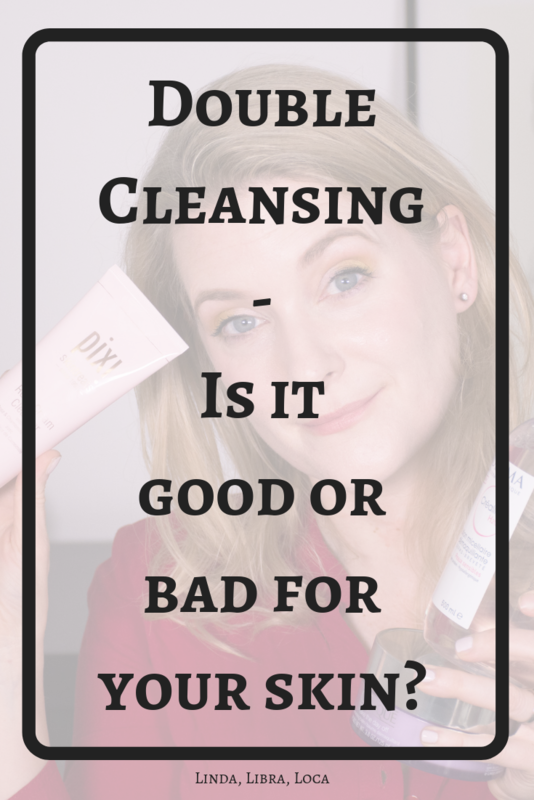 It takes more than one step to put our skincare and makeup on in the mornings, so it needs more than one step to take it off again, this is what in my opinion is the strongest argument for Double Cleansing. 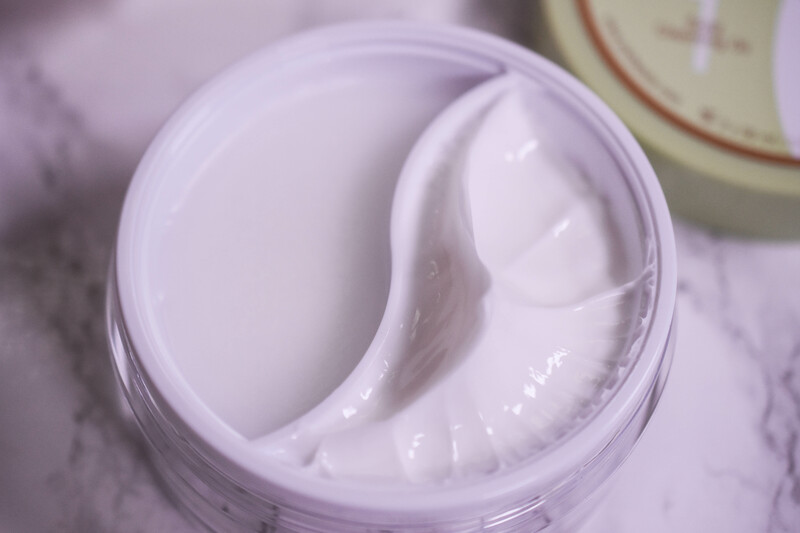 The products most of us use on a daily are designed to stay put on our skin. My sunscreen is sweat and waterproof, my foundation long-wearing… Even a great cleanser would have difficulties removing everything in one go. Also, like attracts (and removes) like, so oil is needed for more oily textures and sebum, while the lighter, water based cleanser takes off the debris and dead skin cells. Is Double Cleansing bad for your skin? As stated above, every cleanse had a chance to cause irritation and disrupt the skins pH level. Why the pH level matters? The skin needs a certain pH to be its most efficient in fighting off bacteria. The skin also needs the oils it naturally produces, as they are part of the skins protective barrier and thus prevent excessive transepidermal waterloss and dehydration (Read more about that topic here). So if you remove all your oils and repeatedly splash water on your face (which has a higher pH than skin has), you are weakening your skins ability to defend itself. That might cause skin problems like acne and breakouts that you might want to cover up with more foundation. More foundation means you are more thorough in cleansing your skin, which again weakens your skins barrier function. And suddenly you are caught in a vicious cycle that makes your skin worse and worse. If you now add an exfoliating step into the cleansing (again, not part of the original concept), you might aggravate the situation by not only overcleansing your skin, but also overexfoliating it. And why that is bad, Geeky Posh explains in her blog post here. As always in skincare, there is no one true answer. What I want you to do is take a good look at your lifestyle, your surroundings and, last but certainly not least, your cleansing products of choice. Do you wear multiple layers of long wearing products on a daily? Or are you much more low maintenance and just wear sunscreen and some lip balm? Are you exposed to a lot of pollution because you live in a city? Is your skin type oily or do you have dry skin? Or do you suffer from sensitive skin to begin with? And, most important, what cleansers do you use? Do they contain acids, physical exfoliation bits, do you use a Clarisonic with them? Or are they gentle and have a pH similar to the skin? 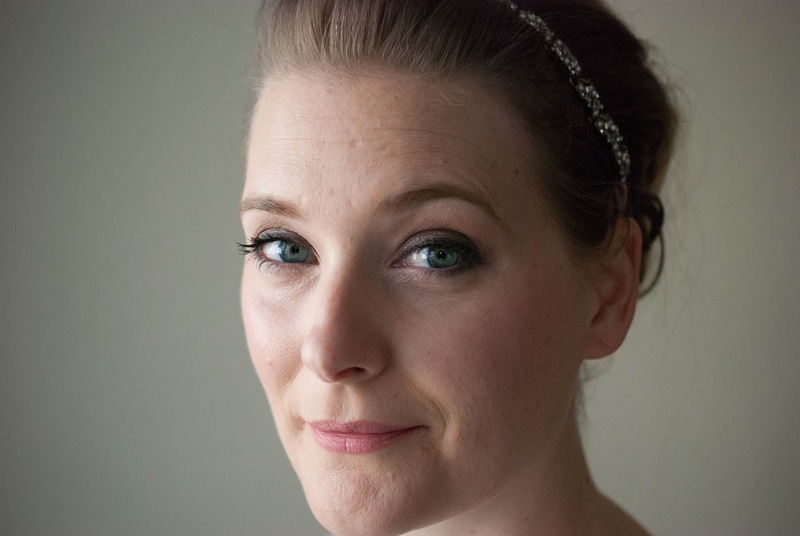 I wear sweat resistant sunscreen and longwearing makeup around five days out of seven. My skin is combination oily. I use an oil cleanser to remove my makeup (yes, the eye makeup as well) and then a gentle cream cleanser afterwards. I remove the oil (gently) with a face cloth and rinse the second cleanse with water. If I don´t wear makeup (I always wear sunscreen. Always!) I just do a single cleanse, but make sure to give the cleanser time to work. So tell me, where do you stand on that topic? What did you find works for you?